Our Company was founded on the Central Coast of NSW and successfully grew to cover the Newcastle, Hunter and Sydney region in it’s early years. Over the last 10 years our customers have benefited from their decision to invest in our products when it comes to after sales service because our business has the depth and stability to survive in tough or quiet times. Thanks to strong support from the local community we have created new jobs each year from trades people to office staff. No job is too big or too small. It’s all about installing solar! All Green Environmental Solutions (AGES) is a 100% Australian-owned family business which started on the Central Coast of NSW and now has a fleet of vehicles services the Central Coast, Newcastle, Lake Macquairie, Port Stephens, the Hunter Valley and the entire greater Sydney region — including the Sydney CBD, Hills District, Western Sydney, the Northern Beaches and all Southern Sydney Suburbs. Although starting life in Sydney’s Northern suburbs, the owner and manager Scott Ford moved to the Central Coast at a very young age. Straight out of high school, he did his apprenticesship, become an electrician and has been involved in solar products ever since. Scott and his experienced team of solar technicians know the importance of energy efficiency for homes and business. After being let down by another company and "wasting" 3 months of my time/ sun; All Green (actually the first people I ever spoke to) did exactly what you expect and we're professional throughout. If you value honesty, good communication and punctuality and quality go with All Green. I went with the other guys initially for the sake of a few hundred dollars difference. Lesson learnt. All Green Environmental Solutios is one of the most professional, caring and efficient companies I have ever dealt with. The installation team was very prompt, quick, and obviously enjoyed their work. They were amiable and happily explained what was happening and what to expect from my system Nothing but praise for this company. Good quality advice and service. Would certainly recommend them. They listened to what I wanted not just pushing a certain product. Was very happy with the price and the size unit I got . Highly recommend. Great service from the start to finish. Exactly what was written on the box On time, helpful, no muss, no fuss. used them 8 years ago and again recently June 2018 Excellent work by Scott and the team. The installers turned up on time and completed the job in approx 6 hours, The workmanship and customer service are excellent. I can recommend Allergen Environmental Solutions to anyone considering a solar installation. I have learned so much from your site about getting a system that is right for me and not the installer. Thanks for all the help you have given me on any questions I needed to ask and all who work on your site as it is so easy to read and understand. All Green Environmental solutions have been excellent to deal with in the lead up to installations which will happen tomorrow. They answered my questions quickly and based on the info I researched, honestly. Would definitely recommend them as an option. I was very happy with the service, installers were good explained a lot of things to me had follow up phone calls from the company to ask if I was happy with the system. The service I received was fantastic. They took the time to explain their solar system to ensure I understood what I was buying and why they used the product they did. The installation was flawless. The two technitions were very efficient and left the area clean and tidy once finished. After sale service was also great. I had a manufacture fault on the inverter. All Green made sure it was fixed ASAP. The team at All Green were great all the way through quoting, installing & follow up. They know what they are doing and provide solid advance, a high quality system and after sale service. Highly recommended. All Green Environmental Solutions responded quickly to our request for three quotes through the excellent SolarQuotes website. Their salesperson, Gary, clearly knows everything there is to know about solar, and throughout the sales process, answered my many questions in a non-patronising and very clear manner. All Green’s quote was comparable with the second quote we received. By the time the third company had contacted me (some two weeks after I had requested the quotes), we had already selected All Green, and thus we didn’t pursue a third quote. The experience with All Green was very pleasant. Great sales person. They kept me informed every step of the way. The installation took place on the day I was advised and went extremely smoothly. I was very pleased with the service from All Green. Rebecca was excellent at following up my questions about the system. Bryce did a fantastic job of installing the system. All in all, I am very pleased with the system – I love the electricity. I also think the online monitoring system is amazing and very informative. Thanks. 3 Phase Micro Inverter system using Trina Mono Panels (21) and Enphase Micro Inverters with Enphase Envoy S monitoring system with individual panel monitoring. System was installed yesterday and switched on around 1.00pm. Yesterday we produced 20kWh from 1.00pm on a sunny day. Today; overcast and raining and we have still produced 16kWh to 5.00pm. Great system and would thoroughly recommend. Note: Like yourself Finn, I am an electrical engineer and did months of homework before deciding on what type of system to use. All Green appeared to give the best responses to my questions (most answers I checked on your website and other sources). I realized that this is probably a busy time for them but of the three references you gave, they were the only one prepared to visit (as requested, but a little reluctant) and I had some difficulty in understanding the rebates they allocated considering the existing market rate. However, I decided that arguing this point was not productive, and went ahead. So far (installation not completed yet), these were the main reason for the review downgrades. They came on time. Did the job in a day and had the meter changed a couple of days later. The inverter developed an intermittent fault and was replaced the next day after letting them know. Excellent service. 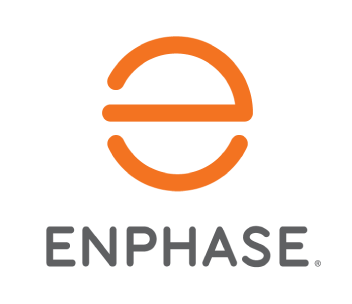 The Enphase micro inverter system works brilliantly. And we love the app that displays how much power we are generating and consuming every 15 minutes of the day. The installation team under Bryce Wright was speedy, efficient, polite, considerate of my dogs and the necessity to keep them safe. Bryce explained the system very well, especially the monitoring via Internet. The team left absolutely nothing behind, tidying up after themselves. Thank you for the recommendation. I found All Green a professional company and can not fault there work and quality of products. 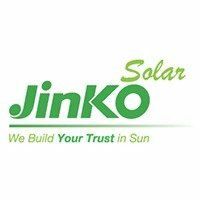 I went with Jinko Panels and Enphase Microinverter. Producing more power than I expected! I do feel that they are flat out at the moment. All in all l would highly recommend them and if I decide to add more panels in the future would not hesitate to use them. Just had system installed yesterday ( 4 Nov) so not much to tell yet. 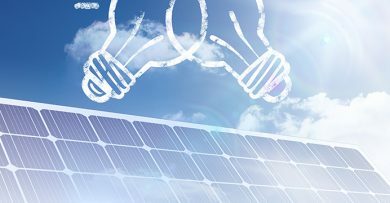 However, even though yesterday was a very cloudy day, it was still producing electricity from the moment it was connected. Maybe after using it for a few months, I’ll be better able to comment and able to update my review. So many Fantastics! I initially wanted to go with these guys because they were local (always do local), then Rebecca, their salesperson, was absolutely natural, delightful and so helpful. Then their price ended up the cheapest within my requirements. They were very busy with installations (another indication of how well regarded they are?) so their install date was down the track a bit… but bang on the date they were here. Bryce’s installer team were friendly, open to questions… and quick, efficient and tidy. They were almost gone once they started – sort of! And now it’s up and running, we are “over the moon”. After a few weeks a technical issue with monitoring was resolved remotely and almost instantly by the big boss- they didn’t forget us once they had our money! From go to whoa this was a brilliant experience from a local. I very highly recommend this organisation. Solar was not at the top of my to do list in terms of renovations and I initially only intended on reviewing my options to think about for the longer term, however the whole process from quote, financing, sales consultation to installation went so smoothly that now the panels are on the roof and I don’t really feel like I’ve made any effort on my part (which is the right amount of effort!). I’m glad I went through with it! Very easy to deal with no pressure selling. Prompt response for quotes and questions. Russell was happy to re-configure panel layout after site visit and spent time to answer any questions. Installation was on time and trouble free. Very professional. Would highly recommend this supplier. They are a local Central Coast company! With a Family feel about them. I still have the sales lady that did my quote emailing me to see how the system is doing? If there is any issues or how good it’s going. If you live in Gosford or Wyong Shire do yourself a favour and give All Green a call. All Green were very efficient and fast to get the job done. So much quicker than I thought would be possible. Russell was straight forward and easy to understand and he never tried to over sell me anything I didn’t need. He made the process simple and stress-free. I chose them because they were responsive to deal with and always returned my calls. My experience with All Green Environmental Solutions was hassle free from sales to installation. A professional, honest, well run business, highly recommended. I chose the Enphase system and the monitoring and solar system have had no problems, all working perfectly from day one. A very impressive system, one that All Green recommended. 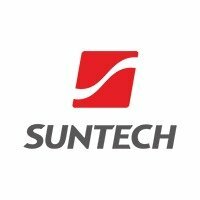 Their price for the Enphase system was under that quoted by the other firms. Went for an enphase system with micro – inverters and a couple of small batteries. A bit more expensive but it allows us to monitor energy use so we can optimise our use of electricity to minimise the amount of electricity used from the grid. Currently grid export to import ratio should mean zero usage cost on our next bill. The workers arrived on the promised date on time. They were polite, cheerful and helpful. All the work was very neat, and there was no mess left to clean up after they left. The panels are generating far more electricity than we expected, especially as we have just gone through winter. In short, we are more than happy to recommend them. The installation was on time and on cost. The installation was quick and thorough by competant technicians. Dialog with the company was good. System has had no problems since installation 3 months ago and has exceeded expectation during the late summer, Autumn and early Winter. I can recommend this company based on the installation at my home. The salesman and the installation crew were a good bunch of guys. Did a good job. We installed an enphase system so we can monitor production and consumption, which is great. I was after additional panels for my existing system partly as a replacement for a broken panel and also to ensure I had spares for expansion. 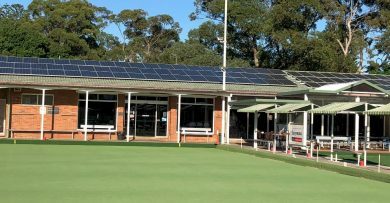 All Green helped explain compatibility, explained about restrictions due to the solar rebate scheme, and then provided a full supply and install. They were professional from start to finish and I felt were not only reliable but willing to provide value for money. I highly recommend them. Competitive price, Great company to deal with, professional didn’t try to sell me something I didn’t need. Worked with me to get the best system for our family’s needs. Installation went ahead as planned and good follow up. Very happy. 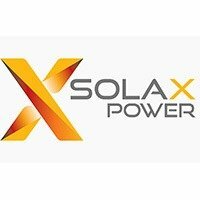 Very efficient wonderful installers and did a great job no hassles from start to finish would recommend the company to others who are considering installing solar. I was extremely pleased with the installation service provided to us today. I was especially impressed with the way that the electricians were additionally able to fix our lighting problem, which they traced to an outside light that had beed improperly installed by another company of electricians last week, leaving us without lights for 4 days. The all Green Environmental Solutions staff worked very hard and were always polite in their interactions with me and my family. From the moment we started to talk to this company, we got a good feeling we were dealing with efficient people. The system was installed very quickly and up and running the same day. Can’t ask for better service. Highly recommended. The sales guys were very knowledgeable and easy to talk to but the stars of the company were the installation crew. They were very professional and did a great job. I work in the construction industry? So I am very picky who I get to do any work around my house as there is a lot of shonky people out there. All green environmental solutions exceeded my expectations with getting the job done right and cleaning after themselves. 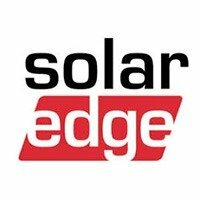 I would highly recommend this company for anyone who is looking for a great solar installer. The team really knew their stuff – especially as to the best placement of the panels to get the maximum benefit. This included providing satellite photos and using drone shots to optimise placement. As a result, the system has performed as predicted or better. Installation and commissioning were carried out very efficiently by a very professional team. It was a pleasure to see each member carry out their allocated task efficiently and professionally. Scott and Russell communicated well through the whole experience from initial quote to final installation. I added 4kW of microinverter panels to an existing 1 kW string system, and both systems now work well together. A minor glitch with some of the Enphase microinverters was addressed efficiently. The Envoy monitoring software is a useful tool for understanding detailed consumption and production patterns and adapting our usage habits accordingly. The guys at All Green Environmental Solutions were super friendly and always available when I called (even after installation when I had paid the bill and just had a question!). The installation happened exactly on time and they took great care to ensure it was done to a high standard. I have been very pleased with their work and would gladly recommend them. AGES was significantly cheaper than the other suppliers who quoted, however all equipment was Tier 1. Some minor delays with installation with the Inverter as it was out of stock when the Panels went up. Overall it took two weeks to be fully operational and generating electricity. I was initially directed to All Green Environmental Solutions by my son, not through Solar Quotes, although they did recommend them as one of their quotes. My son had used them to install his solar system earlier in the year in Newcastle and was glowing in his recommendation. Scott and Joel were excellent to deal with in all regards. The only small problem was that the contracted meter installer took several weeks to complete the job, apparently because the meters were not able to be sourced. I would highly recommend All Green Environmental Solutions of Kariong, NSW. Allgreen gave me a call and after I pondered who to go with as far as an install I ended up getting another call from Allgreen to answer one of my queries that I submitted via email. Allgreen were quick to follow up, fast with their answers and quoted me the system I wanted . 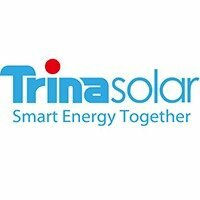 I ended up with Trina honey 260W panels and an SMA 5000TL inverter. First there was a blip when they turned up only a few days after I accepted the quote with the wrong gear. They had loaded the wrong job ,so booked me in again for the next morning. They arrived early the next morning and had the system installed by the afternoon including a cat 5 connection to my modem/router for monitoring. Next the electrician rang me the next day and booked me in to have the bidirectional meter installed. He came up on a Saturday and did the install and had me up and running that after noon. Can’t complain, they did all the ground work and all I had to do was pay the bill when completed. Total $6,600 , I am pulling up to 35KW per day on a good day and 25KW on a cloudy day. Review Posted by Eric from NSW on 14 December 2015. No sales push, just good value, and the installation went very smoothly and quietly too, excellent job. Review Posted by Gerald from NSW on 19 September 2015. The whole experience was very smoothly done. We have no problems with the way our purchase was handled. The whole process is a lot easier than I expected. Scott from All Green has been great. Once I signed the contract I didn’t have to lift another finger. All green did all the work and the next thing I new I was producing green power and saving on those electricty bills. I found the team to be helpful and pleasant to deal with. They were very knowledgeable about the system and was more then happy to explain everything and answer all my questions. Very happy. A little slow to react to my requests, but these guys do know what they are talking about. As a journalist working in the electronics market, I know the product well, and am pleased with the package and the cost. Hardly surprising they are snowed under with enquiries. However, the boss came out and surveyed my roof personally. I’ve just got the installation date, and it will be less than eight weeks from the day I made the initial enquiry through SolarQuotes. Thanks for the help. 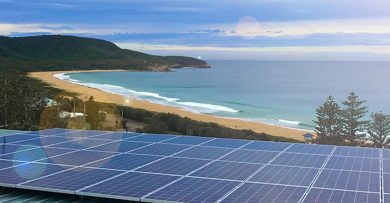 Gosford Solar Installation – What are the Things that you Need to Know with Solar Panels? In these times, we always need to find a way to save energy, money, and resources. There are unnecessary bills that we need to cut off in our lives so that we can put our focus on other things. One of the things that we need to put attention to is our electric bills. Every month we pay thousands in order to sustain our household in terms of electricity. 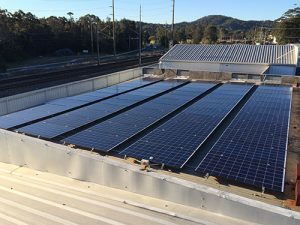 Gosford Solar Installation will provide you the best solar panels. What are the benefits of using solar panels? 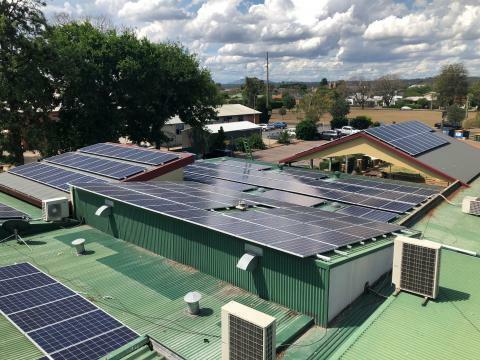 The Royal Hotel Singleton now has this 250 panel installation with Enphase Micro Inverters. Enphase technology overcomes the complicated roof space on this site where there are multiple angles and shade to deal with. Because each module works individually the impact of shade and the roof facets is minimised allowing for maximum output from each unit. 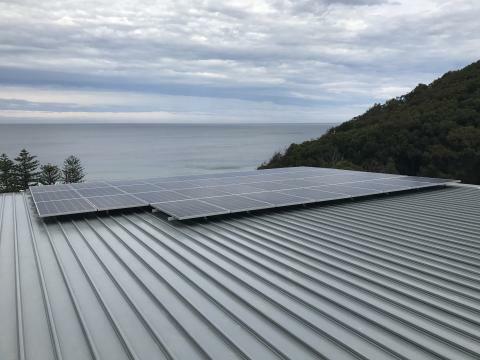 Install of the week goes to this Flat Roof 10KW Enphase system on the coast. spaced apart to avoid shading. Using tilt frames is somewhat dated and is no longer considered best industry practice, so where it can be avoided and particularly in high wind areas, we would advise against tilting. Don‘t miss any of our news and offers! © 2019 All Green Environmental Solutions - All rights reserved.